Your business. Your legislators. Your day. 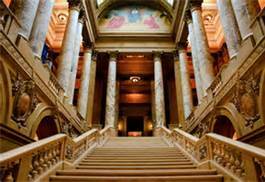 Business Day at the Capitol is back with a powerful agenda for an effective day. Get briefed on the issues and learn from business leaders. Then take everything you learned in the morning to the Capitol, and advance your priorities face-to-face with your elected officials. Your voice makes a difference.